It's time for Myers' annual Mix and Match monthly. This one is going to be one of the biggest monthlies of the year with players packs and ctps on almost every hole. 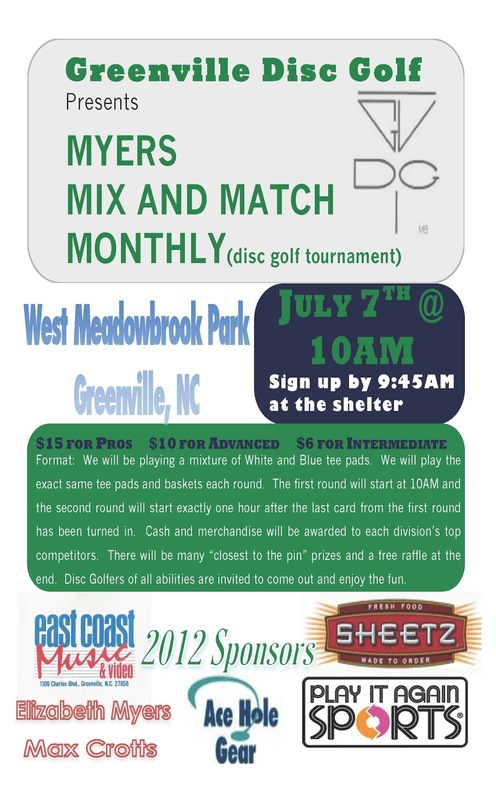 Make sure to reserve July 7th for this tournament. Regular sign up time at the Meadow. If you don't know what the Mix and Match is here's how it works: the TD (Myers) will pick a layout of both blue and white holes which will be played for the a.m. and p.m. rounds.